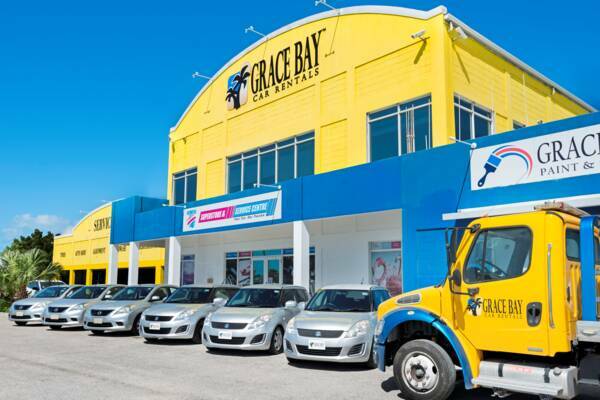 The main location of Grace Bay Car Rentals. Grace Bay Car Rentals has one of the largest fleets in the Turks and Caicos, with a wide selection of car, minivan, SUV and 4x4 options. Delivery or pickup from your accommodation or the airport included. The main Grace Bay office is located within easy walking distance of most resorts on the island. Grace Bay Car Rentals offers a wide selection of vehicles, including cars, 4x4s, pickups and trucks.